When Do The Cyber Monday Sales Start? Don’t relish the prospect of standing in line at 5 AM the morning after Thanksgiving with hundreds of pushy people? You aren’t alone there, and that’s why Cyber Monday should be your go-to day for sales instead of Black Friday. This year’s Cyber Monday is projected to see record-breaking sales as retailers struggle to keep up with past year’s numbers. If you know where to look, budget notebooks will go for next to nothing, while high end gaming rigs and 2-in-1 machines will see reductions of several hundred dollars. Let’s take a look at what best Cyber Monday laptop deals we can expect to see in 2018! 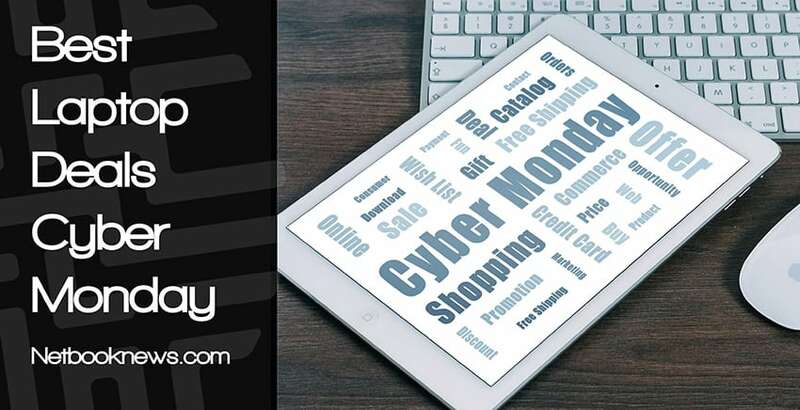 Cyber Monday officially kicks off the morning of November 26th, 2018. That entire month has now become prime sales-driving time for both online and brick and mortar retailers, however. Keep your eyes peeled for online deals anytime that entire two week chunk from November 19th – 30th. Big retailers like Walmart, Target, Amazon, and Best Buy don’t often release their Cyber Monday ads ahead of time, like they do with their Black Friday deals. You’ll simply have to login and see what’s up for grabs that morning. Many of the same deals from Black Friday doorbusters will be available, so if you didn’t feel like getting up super early after spending a day devouring turkey, you won’t miss out on anything. This category will easily be one of the biggest in terms of sales as retailers try to lure in customers with super cheap laptops. We’ll see a wide range of Chromebooks for around $80 – $150, depending on specs. Right now, Acer, Samsung, and Asus have some of the top selling Chromebooks. Look for them to keep up that winning streak by touting price cuts on Cyber Monday. Keep in mind that nearly all laptop categories will see big price reductions, so for just a little more money you can get a great portable Windows computer instead. Thin and light hybrid models tend to be considerably more expensive than their traditional counterparts. Want to finally try out a 2-in-1 model without breaking the bank? Cyber Monday is the time to make the change. The Lenovo Flex and Yoga models are hot commodities right now, so looks for sales there. HP’s x360 and Dell’s Inspiron 2-in-1 models are also prime candidates for deep discounts. Some outlets are projecting to see gaming models as low as $475 for Cyber Monday 2018, but expect $500 – $800 to be the typical sale price range. We will almost certainly see price reductions from big gaming names like MSI and Alienware. Don’t discount the manufacturers who are more known for business machines, however. Dell, HP, Asus, and Acer all offer gaming models that may see unexpected price drops. While they won’t have as many flashing lights or bells and whistles, you can get a better deal by going with those brands. Black Friday gaming deals will also typically still be going at digital outlets like GOG, Steam, and GreenManGaming by the following Monday. Don’t forget to save a little extra to buy some new titles for your cheap gaming laptop! Going straight through Apple is usually a no-go for either Black Friday or Cyber Monday deals. The best you can usually hope for is to get a gift card with the purchase of a new iPhone. Instead, you’ll want to keep your eye on authorized resellers through sites like Amazon. You will typically find both the thin and light MacBook Air and the more powerful MacBook Pro with slashed prices on Cyber Monday. To make sure you are really getting the best deal, check the current price on any laptop you’ve been considering buying well before Cyber Monday arrives. Black Friday / Cyber Monday sales can be a bit misleading. For instance, the Cyber Monday sale percentage is often based on the original list price, not the actual price the retailer typically uses for the product. Keep in mind that some retailers will offer a flat percentage off coupon for any online order that day, rather than having specific laptops on sale. Finally, don’t forget to load up on the extras while they are going cheap! Been waiting to drop the cash on more expensive peripherals like noise-cancelling headphones, Bluetooth speakers, or a high end wireless gaming mouse? Cyber Monday is prime time to get a fabulous deal.